SHORTLY after 8am Sean Hassett heard a “loud bang” on the normally quiet country road outside his house at Ardvarna, Lisnagry. “I knew something had happened so I ran out and saw there was a crash between a car and a bus. Kids were screaming on the bus,” said Sean. He and other neighbours did their best to comfort and help the six children on the bus, the bus driver and two injured occupants of the car. “We were trying to calm the children down and thank God I don’t think anyone is very seriously hurt. At that stage it was hard to tell who was injured and who wasn’t. My biggest worry was the kids and to see that the kids were OK. We were just trying to calm them down a bit,” said Sean, who added that the fire service and ambulance personnel were quickly on the scene. It was a shocking experience for everyone involved in the accident and neighbours who came upon the scene. “I was in a bit of shock myself to see this happening. You don’t expect that to happen outside your front door. The bus passess this way every day. It picks the kids up down the road and brings them to school in Newport. I hope everyone recovers well,” said Sean. 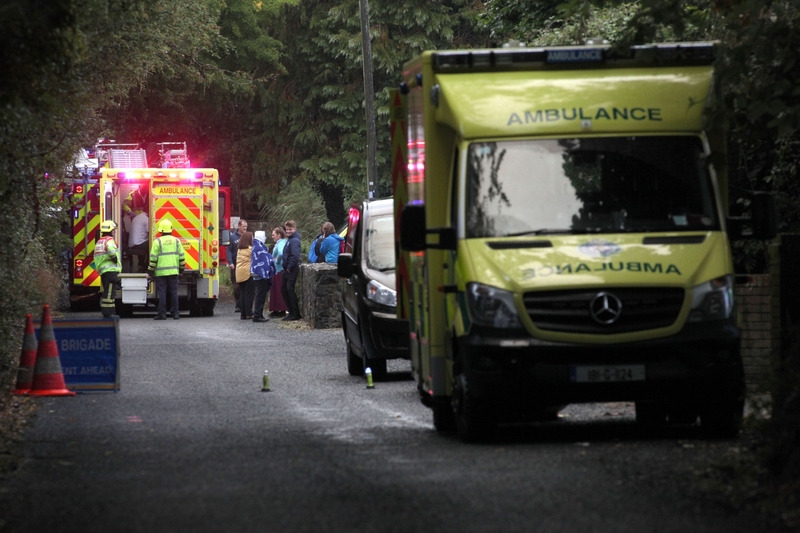 At lunchtime this Thursday, a spokesperson for University Hospital Limerick (UHL) confirmed that four casualties were being assessed in the emergency department and three in the paediatric department. “No patients have been admitted at this time, all are still under review and injuries are not thought to be serious at this point,” said the spokesperson. 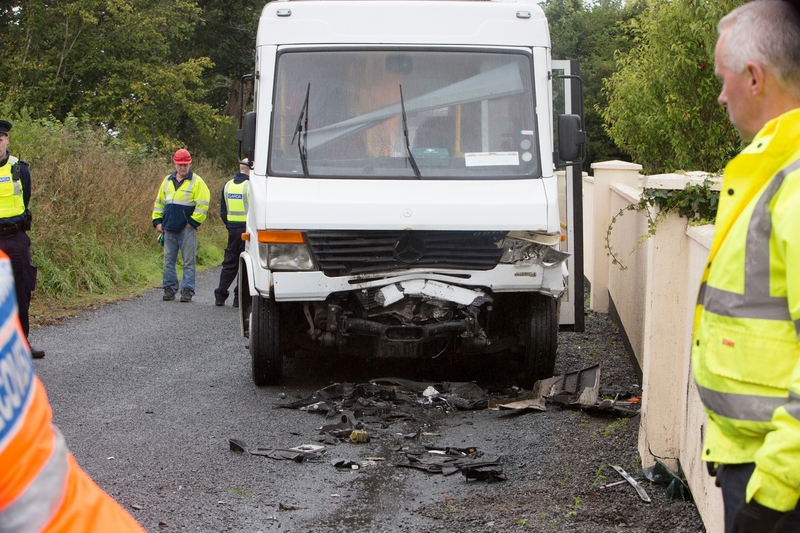 The scene of the crash has been sealed off for garda forensic collision investigators to carry out an inspection.